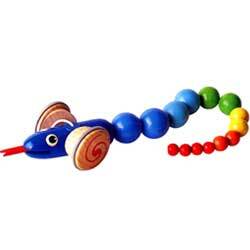 While being pulled, this wooden snake's body slithers from side to side. Made of rubber wood. Measures 20.1" x 3.9" x 2.4".